New York Commercial Cleaning Company. For more than 30 years, businesses throughout New York City have trusted Citywide Maintenance Service with their commercial cleaning needs. And that’s really important to us because we understand how our cleaning impacts your bottom line. It’s why we focus on doing the cleaning job right the first time, every time. We know that you’ve got a business to run, deadlines to meet, and customers to keep happy. The last thing you need to be thinking about is how well your office, retail shop, spa or salon is being cleaned. And if you have a question or concern, you want to be able to talk to someone without having to spend half your day on the phone. Basically, you want to know everything’s being taken care of. So that’s what we do. We take care of it for you and your business. Why a clean work location is so important. While everyone agrees that cleanliness is a good thing, people don’t often think about the direct connection it has to a business’s bottom line. A clean office simply makes a good impression on anyone who sets foot in your location. When a client or customer is there for an important meeting, you don’t want the trash cans overflowing with food wrappers or cups. The restrooms should be clean and the carpets should be vacuumed. Meeting these standards is always included in our janitorial service, along with sweeping and mopping hard floors and cleaning interior windows. That said, a clean work location is about more than just how it looks. 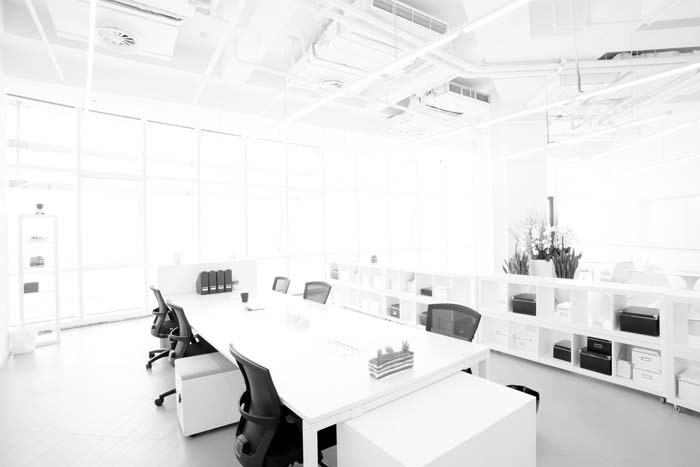 A clean office is also a safer, healthier office. For example, while it might seem okay to just pick up the trash and replenish supplies in kitchens, break rooms and restrooms, it is equally important to be aware of potential bacteria on the toilets, fixtures and countertops. That’s why we wipe these areas down with disinfectant, resulting in a safer work environment. Plus, a clean work environment leads to high employee job satisfaction because it makes the work experience more enjoyable. The right cleaning service for your New York business. And because each of these industries has unique janitorial needs, we have seen just about every kind of housekeeping challenge this business can throw at us and we know how to handle all of them! Why our staff is the best in New York City. The culture among our staff at Citywide is one of pure professionalism and dedication to customer service. When you need us, we’re always easy to get in touch with and ready to solve any problems you may have. When we walk through your doors to clean your place of business, we arrive in uniform and ready to work. All of our custodial team members are actual Citywide employees – not subcontracted temporary workers – and they are thoroughly trained in our best practices to ensure that they achieve the high quality standards we’re known for throughout the city. Plus, we perform background checks on every employee we hire to make sure they are bonded, licensed and insured. Specialty services to meet your unique needs. Plus, because we are committed to protecting the environment, we use eco-friendly cleaning products and “green” cleaning practices in all of our work. How we can help your business stay clean. As a client of Citywide Maintenance Service, you’ll feel confident that your office cleaning is being handled thoroughly and professionally at a fair and reasonable price. That’s how we’ve done business for hundreds of companies throughout NYC and it’s exactly how we’ll handle your commercial cleaning needs. For a price quote or more information, just give us a call at (212) 802-8100.